Chicago police believe they have apprehended a man who has been passing fake $100 bills at area businesses for several months—usually while wearing an orange or yellow construction vest. A bartender at Roscoe's Tavern in Boystown called police at 1 o'clock Monday afternoon to report that a customer had just tried to pass a questionable bill. According to a Roscoe's employee who spoke with us, the suspect tried to pay with a $20 after staffers questioned his $100, "but we had already called police and they responded quickly." Officers found the man standing out front, smoking a cigarette. 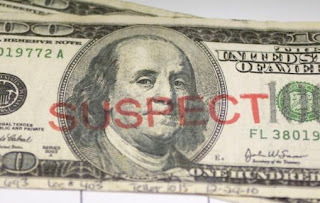 Passers-by reported that he was a black man in a construction vest—-which is exactly how victims at several other Lake View and Lincoln Park businesses described the man who tried to pass fake hundos in their establishments.